Confession: I love Bollywood movies. Since I saw Bride & Prejudice back in 2005, I’ve been hooked. Music, dancing, predictable but wonderful love stories. Really, what’s not to love? And if you’ve ever looked at Aishwarya Rai’s eyes, you know why you can’t NOT love her! And now, with the emergence of Slumdog Millionaire(which I’ve been dying to see: hint, hint), it seems the rest of America has caught Bollywood Fever, too. Valentine’s weekend, Marshall and I were able to attend a Bollywood-esque event. Well, not really Bollywood, but Hindu. A friend from residency got married, and we were invited. I wanted to take many pictures but, clueless about etiquette, I decided I better ask first!. After getting Hiral’s permission, I took tons! 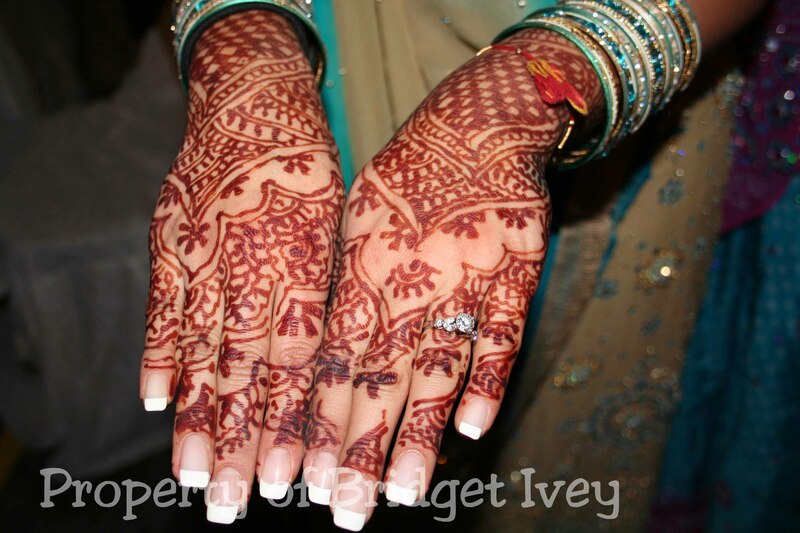 Here I will post the pictures, along with the description that Hiral had posted on her wedding website. The Bharat will assemble at 10:30a.m. outside of the mandhir(temple). 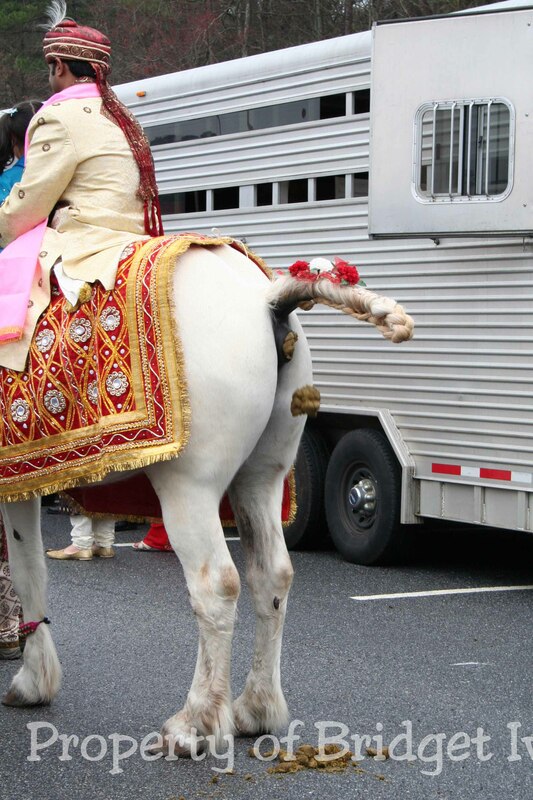 The main wedding event usually is accompanied by the groom arriving with his family/friends in a parade-like procession called a Bharat (baa-raat). 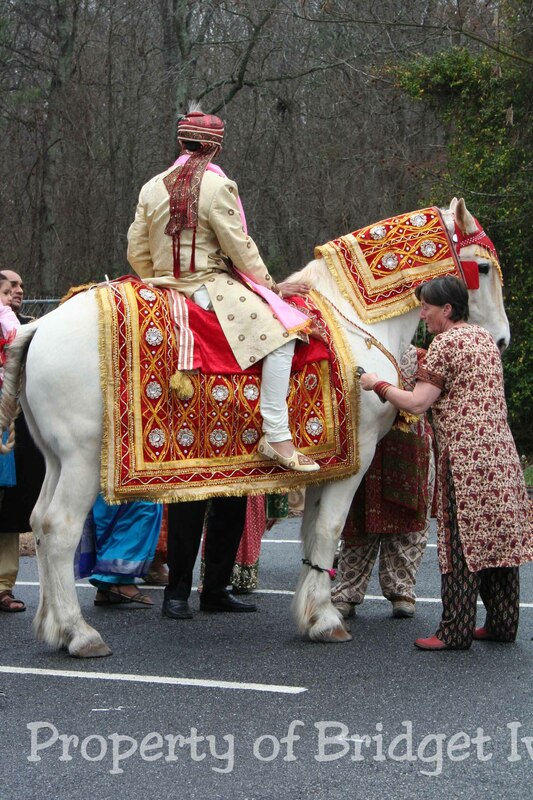 The groom usually arrives upon a horse or elephant to the wedding location. Immediately after the groom has arrived with the Baraat, the groom and bride meet and exchange garlands in the Jaimala ceremony. The main part of the wedding starts after the Jaimala ceremony has finished. The groom and the bride sit beside the fire and the priest chants shlokas (hymns) and the groom and the bride exchange vows in front of the gods and goddesses. Towards the end of the marriage ceremony, a ritual called Phere (pronounced: Fair-ey, meaning “revolutions”) is performed. In the Phere ritual, a part of the groom’s attire and the bride’s attire are tied together (symbolizing that they are now united) as they go around the ceremonial fire seven times. Each round about the fire symbolizes a part of life. The bride leads in the first four rounds while the last three are led by the groom. Sometime during the ceremony, the groom puts a little sindoor (red powder) in the parting of the bride’s hair and puts a mangalsutra (necklace) around her neck. These tasks symbolize that she is now a married woman and are to be worn for the rest of her life.